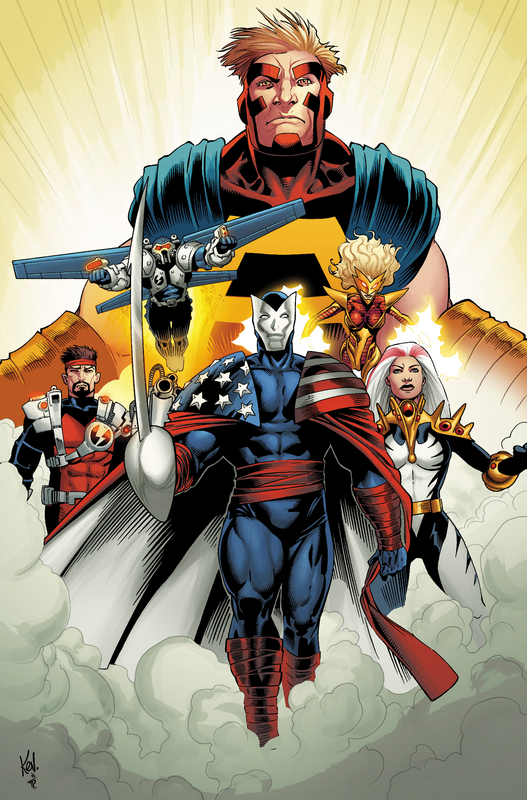 Joining Meteorite at last are the other founding members of Marvel's number one morally-ambiguous superteam! Citizen V leads the way—he strikes a deceptively dashing figure. But even he couldn't lead without support from Songbird's sonics and MACH-I's aerial assistance. And every good mastermind needs some minions as well ... Atlas provides the team with a mountain of muscle, and Techno wields a reconfigurable technological arsenal with a gizmo for every occasion. Together, they could save the world ... or rule it. One step closer to the Fightbolts!! You caught me. I'm just looking for an excuse to run a Daniel Axum design.